why do we work differently than most dietetic offices? Information about allergies and food intolerances is easily accessible and known to many people (briefly presented below).What is important in our opinion? The fact that test results are as important as test interpretation, and, based on test interpreting, we construct a proper nutritional plan. Food intolerance tests give many false positive results (up to tens of percent). The results are not affected by the wrong functioning of the test, but by the excessive reaction of body’s destabilized immunology. Immunology is also influenced by insulin levels. Excluding all products triggering reactions is not a solution, as without regulation of the immunomodulatory factor in the form of insulin, the desired effect won’t be achieved, and there is a high probability that protein, vitamins or micronutrients deficiencies will occur, as a result of poor diet. In most cases there is no need to exclude all the products that have reacted in the test. 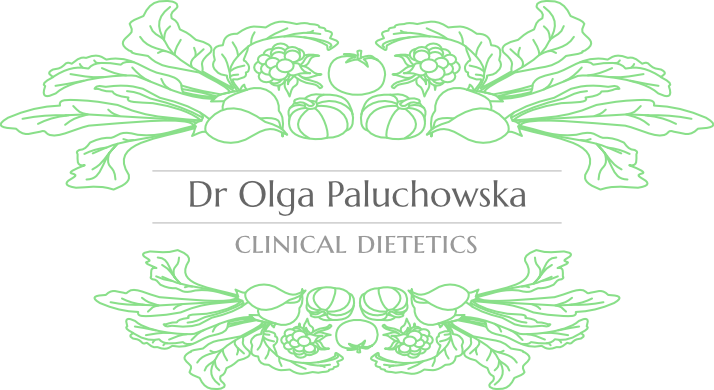 It is important to exclude the crucial ones, and this is determined by the result of a credible intolerance test, an interview with the patient and proper knowledge about particular food products and their interactions. This allows us to create a simple nutritional plan that will provide the highest therapeutic effect while minimizing the number of exclusions. To avoid errors, the test material is collected by a modern, accredited diagnostic laboratory. Just after payment, you will receive a referral for blood collection, either at our office or by email, which will take place at the diagnostic laboratory – 13 Brazilian Street in Warsaw. The knowledge related to food intolerance tests is developing dynamically, new information on the role of individual antibodies and their use in diagnostics is emerging – we are constantly learning and developing our knowledge on the subject. Currently, together with our consultants and laboratory, we are working on introducing new intolerance tests, whose diagnostic value will be high, and the price affordable for patients. By recognizing the mechanism of allergy and food intolerance, we already know that food products are not divided into “healthy” and “unhealthy”, but into proper and harmful ones for each individual. Many popular food items in our menus can cause food hypersensitivity, allergy, or food intolerance reactions. Allergic reaction most often activates the IgE-dependent immune mechanism (less often the IgE-independent mechanism) and occurs immediately after eating the product. Hence, it is relatively easy, on the basis of observation, to tell which product causes allergy. Occurrence and course of food intolerance happens without involving the immune system mechanism, it is associated with activation of the IgG- dependent or IgA-dependent mechanism; food intolerance symptoms may appear with long, sometimes even a few days delay, which makes it difficult to diagnose on the basis of observation. Symptoms of food intolerance include diarrhea, constipation, nausea, headache, fatigue, swelling, arthralgia, chronic inflammation. Untreated IgA and IgG-dependent intolerances lead to the development of chronic inflammation in the body and may predispose to the development of autoimmune diseases, metabolic disorders or carcinogenic processes. As the food intolerance reaction is often delayed and produces a number of non-specific symptoms, it is advisable to perform a food intolerance test to verify which products are good for us and which are not.